The ideal power supply for your drive: Our ACX and SNT series power supply units supply window drives with power for opening and closing. Our supply units can easily and reliably deal with a wide variety of amperage levels and conversions from 230 V to 24 V. D+H even has accessories for emergencies. We offer eight different types of batteries that provide power during power cuts. Our batteries vary in terms of power and size. The type 5 battery with an 18 Ah current supplies power to larger control panels, whereas the type 1 battery has a smaller capacity of 1.2 Ah. Order the battery that is right for you so you can easily adapt the power supply to your requirements in an energy-conscious manner. D+H has many different housings for controllers, control panels and buttons. You can choose from various colours and steel or plastic housings based on your needs. We would be happy to help you with installation in wooden, concrete or stone walls, either with flush mounting or simple surface mounting. Our GT Series door holding magnets are another useful accessory. They ensure that standard and sliding doors remain closed to secure buildings. 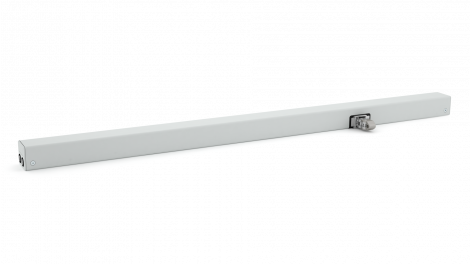 They have an adhesive force of up to 1300 N and thanks to an integrated telescopic arm, they can bridge even larger distances to the strike plate. The PS-S1-24-20 power pack supplies the connected peripherals with 24 V and a load current of 20 A. 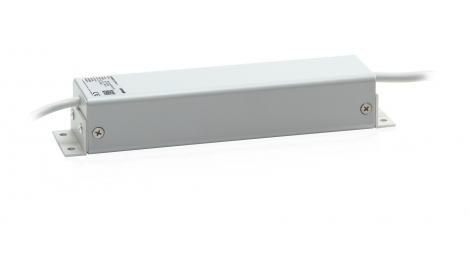 The PS-S1-24-40 power pack supplies the connected peripherals with 24 V and a load current of 40 A. The ACX 4 power supply unit supplies 24 V drives, but with four times as much power as the ACX 1. Conversion from 230 V to 24 V: This power supply unit establishes the power supply exclusively for the BDT 010-RC fitting drive. Saving the day when the power cuts out. The type 3 battery has a capacity of 7 Ah. Power supplier in dire situations: The type 4 battery has a capacity of 12 Ah. Reliability despite power cuts: The type 8 battery protects the smoke and heat exhaust ventilation with a power supply of 3.4 Ah for the SHEV control panel. The housing for the RT BE45-x operation unit is secured with a built-in lock and is equipped with a transparent break-type glass in case of emergency. The RT GEH02-LT housing is used for the RT BE45-x-LT operation unit with integrated ventilation buttons. In addition, it is equipped with an integrated lock and a transparent break-type glass. Whether in cavity, stone or concrete walls: You can easily build RT operation panels into the RT UPD 02 flush-mounted socket. The RT UPR 02 frame is recommended for covering the RT UPD 02 flush-mounted socket. The frame is available in a variety of colours to match the RT operation panel. Our AP-LT surface-mounted housing is perfect for the ventilation buttons of the LT and SLT Series. 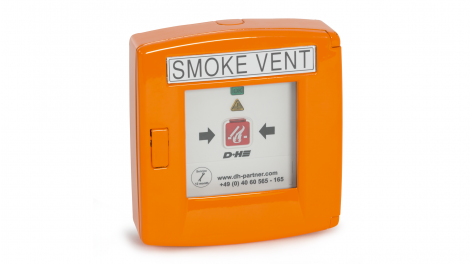 The AP2-LT is ideally suited for the surface-mounted installation of two LT and ST ventilation buttons. The LT 84-R2 is a double frame for the flush-mounted installation of LT and SLT ventilation buttons. Our GEH-TR02 surface-mounted housing is equipped with a viewing window and integrated ITR and TR modules. The AMB is used for connecting the REM Series rain detectors to antenna masts.